Delhi has witnessed another bomb blast on 13th Sept, 2008. After reading this news I recalled a cartoon, I got in forward email. India govt. 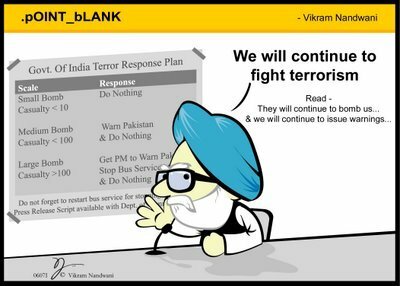 has a fine plan for fighting terrorism. You can read this in cartoon.